Do you want to purchase one of the best made to measure suits? If the answer to that question is yes, the DMV Art website is the pace you need to be today. We are a bespoke tailor that specialises in suit fitting, colour and styling. We have over 18 years’ of experience in designing and producing mens bespoke suits, and can create suits for all occasions. DMV Art follow a suit tailor made process when designing and producing handmade tailored suits, and this starts with the first fitting appointment. At this appointment we will take measurements of the body, and make a decision on the cut and cloth of the suit. Basted fittings are also available, where you will try on the basic skeleton of a suit without the internal layers and linings. You can then make alterations to any aspect of the suit, whether it’s the pockets, vents or buttons. Our made to measure suits can be further personalised with abstract silk lining, that is designed and painted by artist Darina Vsianska. She will either design and paint something unique to wear on the inside of your suit, or you can choose from one of her existing designs. We combine precision fitting and the best of UK tailoring with our fine art practice to create distinctive suits with hand-painted silk linings. The suit will then be ready to collect 1 week after this second fitting. To find out more about the process of creating your made-to-measure suit, make sure you visit our website today. Are you interested in purchasing one of the best made to measure suits in London? Call DMV Art on 0203 137 1688 or you can send an email to info@dmvart.com. Alternatively, you can book your first fitting appointment by filling in the mandatory fields of our Contact Form, and we’ll look to respond to the enquiry as soon as possible, and book in the appointment. Are you looking for one of the very best bespoke tailors in East London? You need to visit DMV Art today, a bespoke tailor that specialises in suit fitting, colour and styling. As a business, we have over 18 years’ of experience in designing and producing mens bespoke suits, and can create suits for all occasions – so you know we are the business you need to go to. 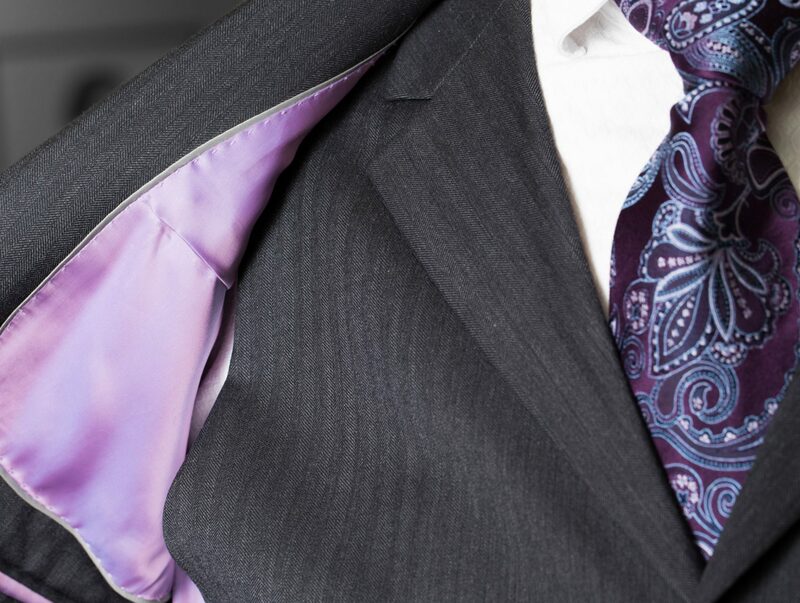 Here at DMV Art, we combine precision fitting and the best of UK tailoring with our fine art practice to create distinctive suits with hand-painted silk linings. We are expert in fitting, colour and styling and will work with you, advising you on cut, colour and cloth to flatter and enhance your silhouette and to create a unique suit that is an expression of you. The process starts with the first fitting, and can either do this at our fitting rooms or your desired location. Here we will take measurements and help choose the cut of the suit and cloth, advising the best cloth for the occasion, season or trend, and what works well with your colour type. We also offer a basted fitting, where you can try on the basic skeleton of a suit, without the internal layers and linings. This will allow you to change your mind on any aspect of the suit, whether this be the pockets, vents or buttons. Do you want to work with one of the best bespoke tailors in East London? You need to contact DMV Art on 0203 137 1688 or you can send an email to info@dmvart.com with any queries you have. Alternatively, you can book the first fitting appointment by input all information into the required fields of our Contact Form, and we’ll reply to the enquiry and book the appointment as soon as we can. Are you looking for one of the best bespoke tailors in London? If the answer to that question is yes, you need to visit the DMV Art website today. We are a dedicated establishment that are experts in fitting, colour and styling. We will work with you, advising you on cut, colour and cloth to flatter and enhance your silhouette and to create a unique suit that is an expression of you. You can rest assured that a made to measure suit from DMV Art will express who you are, so you know we are the best bespoke tailors in London. Here at DMV Art, we are a made-to-measure menswear tailor with a touch of art that can provide you with the highest quality suits for the most reasonable prices. We combine precision fitting and the best of UK tailoring with our fine art practice to create distinctive suits with hand-painted silk linings. All our tailors have 18 years’ experience in fitting and creating made-to-measure suits. Our UK-based in-house garment design technicians will use computer modelling to modify the pre-existing pattern according to your measurements and body shape. They’ll use the pattern they’ve created to laser cut your fabric. It is then handed over to our European factory where your suit is finished within 6 to 8 weeks (or 4 weeks if you use our express service). If you are looking for one of the best bespoke tailors in London, you need to contact DMV Art on 0203 137 1688 or you can send an email to info@dmvart.com with any queries you have. Alternatively, you can book the first fitting appointment by input all information into the required fields of our Contact Form, and we’ll reply to the enquiry and book the appointment as soon as we can. If you are looking for the very best bespoke tailoring service in London, you need to visit the DMV Art website today. We are a dedicated company based in the heart of the capital that are experts in fitting, colour and styling. We work with each of our clients on a personal level, advising them on cut, colour and cloth to flatter and enhance their silhouette and to create a unique suit that is an expression of them. Here at DMV Art, we have an excellent in-house team of garment design technicians, that will use computer modelling to alter the existing pattern according to the shape of your body. The design will then be sent to the European factory, and will be produced within 6 to 8 weeks. We combine precision fitting and the best of UK tailoring with our fine art practice to create distinctive suits with hand-painted silk linings. Are you looking for the best bespoke tailoring service in London? You need to contact DMV Art on 0203 137 1688 or you can send an email to info@dmvart.com with any queries you have. Alternatively, you can book the first fitting appointment by input all information into the required fields of our Contact Form, and we’ll reply to the enquiry and book the appointment as soon as we can.